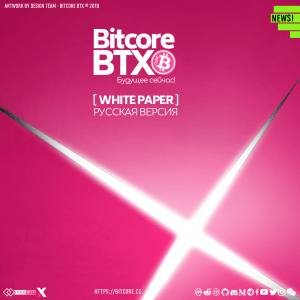 The BitCore Whitepaper describes the unique value and key innovations in BTX from an academic and theoretical perspective. The original version was released on July 20, 2018. Our aim were making BitCore’s white paper accessible to regions that are cradles of innovation and growth, and we have started a translation project. The translation project of BitCore started last summer and is a part of the BTX’s global education initiative. Translations are extremely helpful because it breaks the barrier of entry for millions of people around the world who are interested in learning about this innovative technology. Breaking language barriers can help people engage with each other and facilitate a better understand of how BitCore technology works. BitCore whitepaper has been translated into many languages including Turkish, French, Spanish and Russian. We believe that with these translations more people will see BitCore and Blockchain’s transformative potential. They will be inspired to find new ways to harness BITCORE for good in their communities and countries. 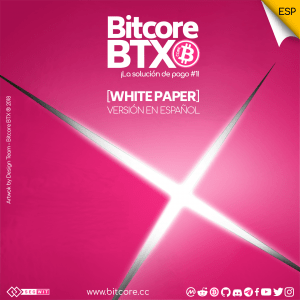 The original whitepaper and translated languages are available for download as PDF files: https://bitcore.cc/introduction/white-paper/. Soon there will be a version in other languages! Enjoy reading it and learning more about BitCore BTX!